The financial wellbeing of students is important to us. That’s why here at Wesleyan we have been working on an exciting project called ‘The Next Step’, designed to provide graduates with financial know-how as they transition from student to professional. Our roadshow opened at the University of Warwick, with a panel of young doctors talking first hand to medical students to address their concerns around finances and lifestyle after graduation. 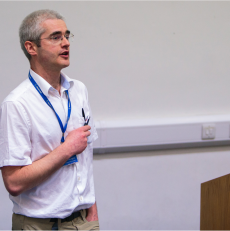 Maintaining a work/life balance was a key theme here, covering not only the tricky few months between the last instalment of the student loan and the first pay cheque, but also the network and facilities available to new doctors to support their physical and mental health. Future events will address other important topics from opening your own practice to saving up to buy property, and will be touring the country to meet medical and dental students nationwide.